Big League Money-Bags, Wakiso Giants move ever closer to realizing their dream with each passing Match-Day. 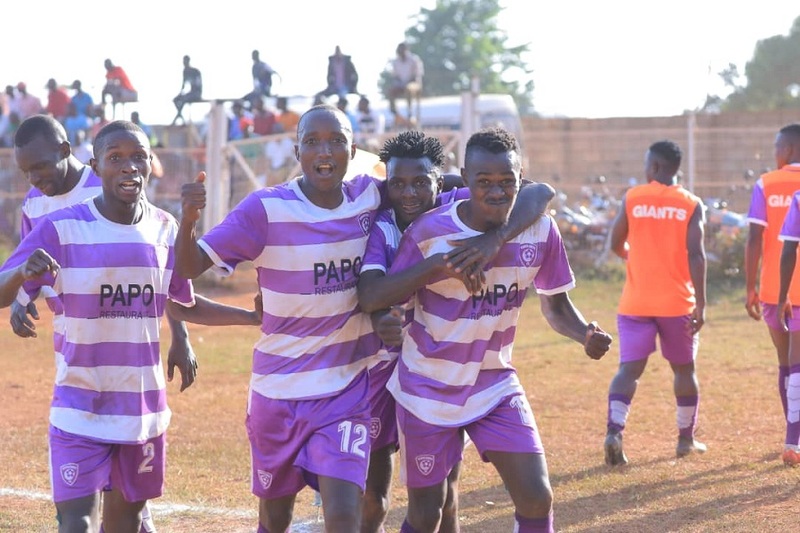 The Wakiso based side who host their games in Jinja were only established last year, bought off Kamuli Park and set a target of reaching the top tier at the first time of asking. Eleven games into the season, they are still the only unbeaten side in the second tier and currently sit top of the Elgon Group. With the winner of each Group automatically getting promoted to the top tier, Wakiso are surely smelling promotion already. On Thursday, they have a chance to moving closer to their dreams when they host JMC Hippos at Bugembe Stadium. Going into the game, Wakiso are four points clear of second placed Dove All Stars, at the top of the Group. However, their (Wakiso) head coach Ibrahim Kirya is not getting carried away anytime soon. “We have 9 more games to play and one of them comes on Thursday. Said Kirya when asked if they are starting to think of promotion yet. “The Big League is the toughest division in Uganda and we know anything can happen between now and May so we are going to just try and win all our remaining games so that we are not under any sort of pressure in the end. “JMC are a very strong side like all the other teams. “We will respect them regardless of their position and we will try to get all three points in the end. Wakiso who defeated Amuka Bright Stars 3-0 in their last game will be hoping the trio of Captain Feni Ali, Norman Ojik and Yasin Mugume will be at their best again on Thursday after they all scored in the last outing. In the reverse fixture, Wakiso needed Kiweewa’s equaliser to get a point off JMC who had taken the lead through George Nsimbe. However, Wakiso had a goal wrongly disallowed when Clinton Kamugisha was pulled in the area before he held on to bundle home in an empty net – The referee handled a freekick against Wakiso. The Hippos who will get the full backing of the home crowd (given the club is Jinja based, unlike Wakiso), will rely on veteran Crespo Asiku and Nsimbe, the latter has scored five goals in the league so far. JMC come into the match on the back of a goalless draw against Bukedea Town Council FC. They are currently second from bottom in the Group with 9 points so far. In the other Elgon Group Matches, Bukedea host Kataka, Entebbe FC is away to Light SS while UPDF entertain Dove All Stars in Bombo. In the Rwenzori Group, Proline will look to bounce back from last week’s defeat against Kitara, when they travel away to Ntinda FC. Shafic Bisaso’s charges were humbled 1-0 last time out but still lead the standings with 23 points, one ahead of both Kiboga Young and Dove FC. For Ntinda, they have been struggling since the start of the season and find them selves 3rd from bottom with only two victories so far. The other Rwenzori fixtures see Kiboga Young host Bumate while Kira Young are away to Kabale Sharpe.